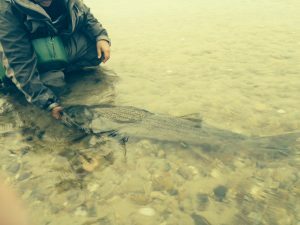 The American Fly Fishing Trade Association and Cheeky Fishing are partnering to award a donation of up to $3,000 to Stripers Forever in coordination with the Cheeky Schoolie Tournament being held this May. As a sponsor of this year’s tournament, AFFTA has agreed to donate $1 for every 5-inches of striped bass caught, released and recorded, up to $1,500. Cheeky has stepped up to match that amount dollar-for-dollar, with the total amount going to the conservation of wild striped bass. Prize money is awarded each year to the winning teams, but this is the first year that a formal donation of this sort is being made. 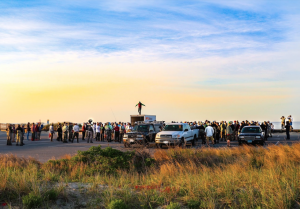 Known as the largest, catch and release fly fishing-only tournament in the world, the Cheeky Schoolie Tournament is set to mark its 7th year on May 19th on Cape Cod, MA. With over 400 anglers registered this year from all over the U.S. and internationally, the tournament is already sold out and a waitlist has been created. Click here for the full press release from AFFTA.